Iâm Teresa Morrow, Founder of Key Business Partners, LLC and I work with authors & writers to help them with their online book promotion and social media marketing. As part of my job I read a lot of books (I enjoy reading anyway!). This week I will be highlighting two business books; ‘How Reliable is your Product’ by Mike Silverman and ‘Stop Workplace Drama’ by Marlene Chism. The books I cover in the Social Media Book List Series will cover a range of topics such as social media, marketing, blogging, business, organization, career building, finance, networking, writing, self development, and inspiration. Product developers now have many tools–software and hardware–at their disposal for building reliability in from the get go. From the organizational point of view, what better way to design in reliability than to make designers themselves responsible for the reliability of their designs? As Mike Silverman explains in How Reliable is Your Product?, this is why the role of the reliability engineer is changing to one of mentor. He or she is now responsible for going out and finding the best testing tools and then training the designers on their use, so that designers factor and build in reliability at every stage of product design. Throughout his 25-year career, Mike Silverman has maintained a singular focus on reliability. He is Founder of and Managing Partner at Ops A La Carte, a reliability engineering consultancy that helps customers build end-to-end reliability into their products. He owns and operates HALT and HASS Labs, a reliability laboratory in Northern California that has now tested over 500 products. A Certified Reliability Engineer with over a dozen technical papers under his belt, Mike is currently President of the Silicon Valley IEEE Reliability Society. 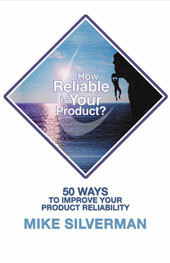 You can purchase a copy of ‘How Reliable is your Product’ online from the publisher site, Superstar Press. . *I did receive a digital copy of this book from the publisher to help in the promotion of the book. Next, I would like to introduce you to a book coming out in February 2011 – ‘Stop the Workplace Drama’. -Michael Linenberger, author of Master your Workday Now! “Stop Workplace Drama is filled with fresh strategies to help leader navigate change, reach their objectives and create a positive work climate-all at the same time! Right off the bat in the introduction, Marlene is great about engaging the reader to explain about what drama is and how most of us (even if we deny it) have drama in our lives. And even if it is personal, it does tend to creep into the workplace. As Marlene states, “Drama is any obstacle to your peace and prosperity.” I say, you can get any more real and to the point than that, right? She goes onto explain, the drama is the situation, your drama is how you react to it. Again, great precise explanations. And throughout the book, she put the “mirror” up to the reader and allows each of us to see where we can shed the drama and bring ourselves to a more balanced and peaceful living through, telling yourself the truth, mastering your energy and release resistance. Is your workplace riddled with gossip, power struggles, and confusion? Do you seek clarity in your management and cohesiveness in your team? Do you have a personal obstacle affecting your professional success? If so, there is good news-help is on the way. Stop Workplace Drama offers down-to-earth, practical methods to help business owners, entrepreneurs, and private practice professionals maximize success, increase productivity, and improve teamwork and personal performance. When you’re in the thick of business competition, you and your team need to function freely without internal conflicts, confusions, or rivalries. Stop Workplace Drama ensures that your employees will be able to give their best to create a healthy, profitable workplace. Marlene is a speaker, author and communication consultant who works with high level professionals who want to increase personal performance and break through the obstacles keeping them from living a life of passion and purpose. Marlene says, âEveryone has drama and drama manifests in various ways. Marleneâs signature process is known as âThe Stop Your Dramaâ Methodology, a system to help companies and individuals align with purpose to achieve higher levels of success both personally and professionally. You can purchase a copy of ‘Stop Workplace Drama’ on her website, Stop Workplace Drama or on Amazon. This week I will be highlighting two books; one author I am currently working with ‘The Ten Commandments for Effective Standards’ by Karen Bartleson and one book on the business Amazon list ’30 Days to Social Media Success’ by Gail Martin. Standards can make markets grow. When a common interface is made available for use, competitors can develop new products around it. A standard can prevent a monopoly by giving more than one company the opportunity to create compatible products. Tasks are simpler and less error prone when standards are used. Designing a computer chip is an enormous undertaking. Writing the description of the design in standard formats instead of rewriting it in a variety of them not only saves time but also prevents errors from being introduced during rewrites. Standards can fuel innovation by providing a common starting point. Shared protocols for communicating data make the Internet phenomenal. Universal audio and video formats give rise to a myriad of music, games, and moviesâand products that play them. Technical standards play an important role in business as well as everyday life. They provide opportunities for market growth and competition. They enable interoperability. They make customers happier. They bring order out of chaos. Existing technical standards are being updated constantly, and new ones are being produced in increasingly greater numbers. But do you know what it takes to create an “effective” standard? ‘The Ten Commandments for Effective Standards,’ written by computer chip industry veteran Karen Bartleson and illustrated by corporate cartoonist Rick Jamison, will not only provide you with ideas for creating better standards, it will also provide you with a newfound understanding of standards and their importance, respect for the standardization process, and ways you can leverage others’ industry expertise to help you succeed in creating more effective technical standards. Based upon twenty years of experience in the area of standards for electronic design automation and ideas drawn from other industry experts, ‘The Ten Commandments for Effective Standards’ provides you with a list of procedural imperatives about what works and what doesnât work when developing effective technical standards. This book will teach you how applying Bartleson’s commandments to day-to-day standards activities can help make your resulting standards more effective and easier to adopt. 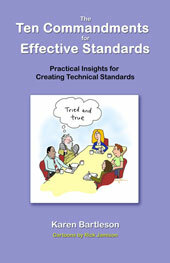 From the Golden Rule of effective standards — “cooperate on standards, compete on products” — which points to the essence of standardization, to the tenth commandment — “know that standards have technical and business aspects” — which declares the importance of a standard’s commercial implications, this book will provide you with a foundation for preparing for and performing in the technical standards arena. Whether you are already involved in the process of creating technical standards or are interested in learning more about it, Bartleson’s ‘The Ten Commandments for Effective Standards’ is standard reading for anyone pursuing knowledge, excellence, and success in the field of technical standards. Karen Bartleson has three decadesâ experience in the computer chip industry. She is known for her work in the area of standards for electronic design automation. Bartleson is also one the pioneers into social media in her industry, including Twitter. She is the author of The Standards Game, a blog focused on the standards arena. Karen holds a BSEE from California Polytechnic University, San Luis Obispo, CA, and was the recipient of the Marie R. Pistilli Women in Design Automation Achievement Award in 2002. Her Twitter handle is @karenbartleson. You can purchase a copy of ‘The Ten Commandments for Effective Standards’ online from the publisher site, Synopsis Press or on Amazon. *I did receive a digital copy of this book from the publisher to help in the promotion of the book. Next, I would like to introduce you to a book on the business book list on Amazon and on my reading list: ’30 Days to Social Media Success’. Throughout the pages of 30 Days To Social Media Success, bestselling author and marketing expert Gail Martin outlines a comprehensive strategy for the optimal use of social media. Highlighting the various similarities and differences between the online communities, Martin does a standout job of apprising the reader of the most effective ways to make social media work for their purposes. Chief among them: identifying from the outset precisely what your goals are for using the applications. By doing so, you provide yourself with the added advantage of knowing exactly how to use the tools to get just what you need out of them. Small business owners and solo professionals know they’re supposed to use social media to increase sales, but how should they start? Using a unique Rule of 30 approach, 30 Days to Social Media Success is the perfect resource for busy people who want quick results. Thirty short chapters (one for each day of the month) are packed with real-world tips and proven techniques you can use right away. # Get global impact out of press releases, articles, blog posts, and book reviews. # Increase your personal and corporate visibility as the go-to expert in your industry. # Build relationships with clients and connect with ideal prospects. # Network around the world and around the clock with people who need what you have to offer. Wondering how to use social media? Looking for a way to attract new clients without spending a fortune? 30 Days to Social Media Success is for you. Best-selling author Gail Martin is a marketing expert and international speaker, and the owner of DreamSpinner Communications. She’s the “Get Results Resource” for marketing that works, helping small and start-up businesses, consultants, coaches, authors, and solo professionals succeed through affordable publicity. Martin is also the author of The Thrifty Author’s Guide to Launching Your Book. Gail lives in Charlotte, North Carolina and can be visited online at www.GailMartinMarketing.com. You can purchase a copy of ’30 Days to Social Media Success’ on Amazon. This week I will be highlighting two books; one author I am currently working with ‘No Such Thing as Small Talk: 7 Keys to Understanding German Business Culture’ by Melissa Lamson and one book on the business Amazon list ‘The Innovation Playbook’ by Nicholas J. Webb. You may think, “German business book, what does that have to do with me in the United States?” Our world, especially business is becoming more global every day. Especially with the advancements and the never ending freight train that is social media, understanding how other business cultures work, could be extremely helpful to US businesses and entrepreneurs. Chapter 4 â Key #3: The Train Comes at 8:52 a.m. Right there, you have some key points to learn about German business culture (and can possibly be something you may wish to use in your business. Many business leaders, when they begin to work overseas or interact professionally with teams abroad, are surprised by how much they thought they knew about the other culture, but how little it counts for on the ground. The reality is that communication is multi-dimensional, and simply knowing a foreign language doesn’t mean one automatically understands the culture that goes with it. Idiom, psychological factors and cultural nuance all come into play. To grasp a culture, and communicate meaningfully to it, you need familiarity with language, of course, but also with non-verbal communication, customs, perceived values, and concepts of time and space. Melissa Lamson, with years of experience in creating and nurturing high-performing global teams, understands how “It’s not enough to know the language!” In her book, No Such Thing as Small Talk, she focuses on Germany, a major business partner for the United States, and the country in which she has lived and worked for over a decade. Business leaders today expect to face cultural differences when they do business with, for example, China or Brazil. But with a Western, industrialized country like Germany, one that displays a business etiquette and work ethic similar to the United States, it is easy to overlook the differences simply because so much appears, on the surface, to be the same. The differences are not in your face but subtle. And these small, yet critical, differences are exactly what Melissa’s book will help you identify, respect and bridge. Melissa succinctly presents what she calls seven keys, or principles, to unlocking the German business mind. Her principles, whether they relate to process, punctuality, discipline or email communication, are insightful, personal and compelling. Not only does she clearly lay out the differences, but she also offers a cultural perspective that is rich with personal narrative. 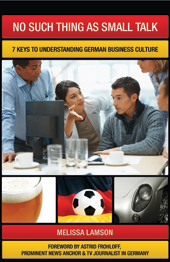 If you plan to be in any way professionally engaged with Germany–whether you wish to participate in trade fairs, carry out negotiations with partners or colleagues, discuss schedules or terms with customers, or even apply for a job in Germany–the appropriate cultural understanding, as this book describes, will create mutual trust and will quite likely be the key to your business success. Back in the U.S. after ten years based in Europe, Melissa Lamson is a pioneer in the field of cross-cultural communication and global business development. She has run projects in more than thirty countries, working with Fortune Global 500 companies, governments, nonprofits, SMEs, foreign investors, and C-level executives across all industries. In 2008, Melissa was nominated as one of 25 top female entrepreneurs in Europe and she was among the first female-owned businesses to receive an award from the German Ministry of Cultural Affairs. Melissa is regularly invited to speak on the topic of global business development and she guest lectures in executive MBA programs in Europe and the United States. You can purchase a copy of ‘No Such Thing as Small Talk’ online on the publisher site, Happy About or on Amazon. *I did receive a digital copy of this book from the publisher to help in the promotion of the book. Next, I would like to introduce you to a book on the business book list on Amazon and on my reading list: ‘The Innovation Playbook’. “As the CEO of a multi million dollar corporation that was a start-up, I have worn many hats over the last fifteen years. I found The Innovation Playbook Well worth the money and time to read. Webb covered many points I had never learned or in some cases, simply forgotten . In these challenging economic times, his “value strata” and “conduits of connectivity” pages hit home for me. I found it to be a easy read that was well thought out and written. Author and successful innovator Nicholas Webb believes we need a revolution in business excellence founded on innovation. In The Innovation Playbook, you will learn why innovations fail, the five rules of customer connectivity, the power of “real open” innovation and customer co-creation, the secret formula for reducing product and market risk, the magic of Future-casting, and so much more. Includes online training a ($150.00 value) that will help you put the theory into practice, The Innovation Playbook will prepare you to get your CIS Certification, as well as to implement a successful innovation culture in corporate life. Nicholas J. Webb is a successful inventor, entrepreneur, author and management consultant in the field of innovation and customer relationship management. He has served as the CEO of several successful technology firms including Myocure, Inc. a pioneer in refractive ophthalmic surgery. He is the founder of Nupak Medical, LLC a medical product-manufacturing firm. He has also served as a CEO with several other technology- related companies. He is a successful inventor having been awarded over 35 patents from the US Patent and Trademark Office. His technologies range from one of the world’s smallest medical implant to industrial and computer technologies. He currently serves as the CEO of Lassen Innovation, providing strategic innovation and management consulting services, and has attained certification as a Certified Management Consultant. His client list represents some of the best companies and research organizations in the world. He is a prolific book author; his most recent books include The Innovation Playbook-a revolution in business excellence and The Digital Media Innovation Playbook-creating a transformative customer experience (Wiley). Nicholas is a frequent speaker and workshop leader at vertical industry conferences as well as innovation, licensing and technology forums around the world. Nick combines his own personal experience of “having been there” with a proven strategy for increasing profits and market share through a combination of leading-edge innovation methods and general business best practices. He lives in Northern California with his wife of twenty years and his four children. You can purchase a copy of ‘The Innovation Playbook’ on Amazon. Iâm Teresa Morrow, Founder of Key Business Partners, LLC and I work with authors to help manage their online book promotion. As part of my job I read a lot of books (and I love to read anyway!). I am here to offer a weekly post about one book author I am working with and one book I have put on my reading list. I am mixing things up (again! – you can read part 1 of panel discussion on blogging and social media) for my weekly blog post at Successful Blog. I thought I would ask a few of the authors I have highlighted to offer their strategies and tips regarding blogging and social media. Himanshu Jhamb thrives on challenges in Software Project Management and has successfully led global teams in industries ranging from Telecommunications to eCommerce. Himanshu is Senior Project Manager for Atypon Systems and co-founder of Active Garage, where he frequently writes about Projects and Project Management. He is also the co-author of #PROJECTMANAGEMENTtweet with Guy Ralfe. Delandy Kirk, Ph.D., SPHR is a Professor of Management with 27 years experience in teaching Employment Law, Human Resource Management, Organizational Behavior, Managing Diversity, and Operations Management. She has conducted teaching workshops at numerous academic conferences and schools including Columbia University, Duke University, University of Washington, University of Arkansas-Ft Smith, Graceland University, and Metropolitan Community College. She was the featured expert for the Chronicle of Higher Educationâs online chat on classroom management on September 15, 2004, and has earned the prestigious Drake University Board of Governorâs âExcellence in Teachingâ Award. Her book, Taking Back the Classroom: Tips for the College Professor on Becoming a More Effective Teacher, was re-released by Tiberius Publications in October 2008. Janet Fouts is a social media coach, teacher and speaker. She helps individuals and corporations understand how to use social media tools and work efficiently in this emerging field, and conducts in house and virtual training sessions on social media tools and strategy. Janet has been working with small businesses to develop their on-line presence and working with online community for 13 years. She is partner in the award winning web design and development firm Tatu Digital Media. She freely shares her knowledge on several social media platforms including her blog at JanetFouts.com. She is the author of Social Media Success and co-author of Social Media Non-Profit Tweetby publisher Happy About. Tim Tostaa partner at Luce Forward, is recognized as one of Californiaâs leading land use and environmental attorneys. He also is a cancer survivor, a seasoned hospice volunteer, an evocative lecturer and writer, and a certified Integral Coach, guiding executives in the legal profession and the business community to live purposeful, balanced, thriving lives. Tim is the author of #DEATHtweet and the highly acclaimed lecture series, âLessons for the Living,â and the emotionally compelling hospice writings, âPutting Things in Perspective â Stories from a Hospice Volunteer.â Tim has a JD from UC Berkeley School of Law and a BA from Princeton University. His Twitter handle is @TTosta. Janet – I’ve been blogging since 1996. Back then they weren’t blogs of course but hand coded pages. We basically modified guest book scripts and had to build a new page for every post. We were THRILLED when Blogger came out! Tim – I started blogging in earnest in the Spring of this year at CoachingCounsel.com/blog. Although I am a full-time practicing Land Use and Environmental attorney, I became a certified Integral Coach about 18 months ago. I launched the CoachingCounsel.com website concurrent with the publication of my book #DEATHtweet â A Well Lived Life Through 140 Perspectives on Death and Its Teachings. What subjects do you cover with your blog? Janet – I blog on a lot of topics on my blogs. the principal blogs are on social media but I also blog on wine, food, local news and events and green technology and the environment. Delaney – Teaching tips for college professors including classroom management and the use of educational technology as a pedagogical tool. Tim– I came upon Integral Coaching from my own work with a coach, as well as my experience as a hospice volunteer at San Franciscoâs Laguna Honda Hospital, where I serve the Cityâs indigent population at the end of life. The hospice experience also led to the authoring of #DEATHtweet. 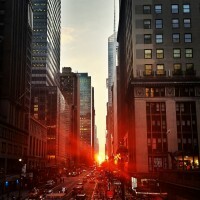 At its core, I blog to help people to relieve their suffering. Topics have included discovering your lifeâs purpose, leading a balanced life, finding happiness, finding awareness through meditation and the like. I blog at least twice a week. I provide exercises and practices to assist people on their journeys of inquiry. I use references to literature, poetry, music and the arts to engage my readers. Janet – Because I’ve got a lot of opinions and I like to teach and communicate with other people on these various topics. I LOVE the whole idea of community online. Delaney – I enjoy mentoring other instructors and sharing what I have learned in my 28 years of teaching. 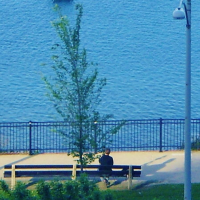 Tim – Blogging reminds me of how we used to engage one another through written correspondence. In blogging, I convey information with informality and an open heart, making it easy for my message to be truly heard. Blogging allows me to get relatively immediate feedback on whether or not my messages are making a connection with my readers. To the extent that I receive feedback, I adjust my posts to more meaningfully serve my readers. What is the one blogging tip you have to share with others? Himanshu – Be Authentic. Do not blog for the sake of blogging. The blog post needs to be VALUABLE to others. For instance, my blog (www.activegarage.com) is positioned around VALUE to the reader … because all Authors are hand-picked accomplished practitioners of business. Do not self-promote yourself in your blogs. That, in fact, is one of the requirements we make off new authors, when they begin writing on Active garage. Janet – Think about your audience. What do they want to talk about? You can get a good idea of what they want by looking at the comments and what posts are most popular, but you can also just ASK. Why are they here? What do they want to talk about? Delaney – Donât give up because you feel you are talking to yourself. There will be many people who will read your blog and never comment. That doesnât mean they arenât interested or benefiting from your expertise. I will sometimes get an email from someone asking me a question and always they start off by telling me they have been reading my blog for years. Tim – Know your overall intention for your blog, but hold that intention lightly. I generally know the direction of the posts that I will create for many months in advance. But I am flexible in taking a new direction, if an opportunity arises. I have a map. But, I know itâs not the territory. When I write a blog post, I usually either dictate it to tape for transcription or use voice transcription software. Those technologies keep my posts conversational. I find that when I write at the keyboard, my âeditor/criticâ always rests on my shoulder, blocking the relaxed, informal tone I want to convey. How long have you been using social media (twitter, facebook, linkedin) for your business? Janet – I built my first online community in 1994. Twitter and Facebook and what people now call social media? 2-3 years. Delaney – Twitter and Facebook for over two years; Linkedin even longer I think. Tim – I have been on Linkedin for almost two years. I use Linkedin to bring awareness to my law practice. Facebook, which I have been using for about the same time, is more informal but contains most of my coaching content. I have established a separate Facebook page for the book, #DEATHtweet. Twitter is my vehicle for communicating about my book #DEATHtweet and other books currently in the works. Himanshu – This is a very generic question. Each social media platform is different – it all depends on the criteria of comparison. For example, Facebook is more personal than twitter and requires a higher degree of trust whereas twitter has a larger reach than facebook. LinkedIn is more suited towards professionals in jobs. Janet -Twitter is my favorite because it’s so rich in information. I also get most of my business from Twitter or my blog. I rank pretty high in Google for “Social Media Coach” and I’ve worked hard to keep that brand alive with social media. Delaney – I really like Twitter. Itâs a great way to build a network of professionals to share information, tips, links to articles, etc. I met Teresa Morrow through Twitter and have recommended her services to several new and aspiring authors I know. Tim – Each social media platform offers its own distinct advantages. Linkedin serves my law practice well because it is more of a broadcast mechanism. Facebook, with its interactivity, is well suited for the coaching. Twitter inspired the #THINKaha! brand for Happy About Books. #DEATHtweet is a book in that series. My book was âdesignedâ for tweeting. What is one social media tip you have to share with others? 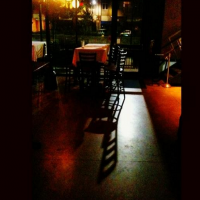 Himanshu – Again, be authentic. The more authentically you share, the more social-media love you will get back. Remember… Give first… and you will get, then. Janet – Every day pick a different connection or two and reach out to them. How can you help them? Read what they’re writing about and talk to them. NEVER send automated DM’s. It’s just bad practice. 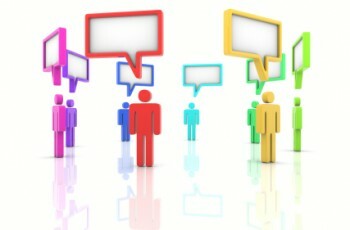 Join SocialMediaCoachingCenter.com and read Social Media Success! Social media is all about the other guy. It’s not about you. Find ways to help other people and they will reciprocate. Delaney – Be patient. You donât create a network overnight. Think of it as a cocktail party-you wouldnât go to a social event and immediately try to sell your product to someone you just met. Instead take your time, get to know others with similar interests, share information, and build trust and credibility. Each social media platform offers you a different way to present yourself. The culture of the platform shapes your audience and your message. Figure out the rules of each game to determine how that platform best serves you and use it accordingly. Use of social media requires some study and a certain degree of discipline. But in order to be effective, you have to find a way to make it fun. Otherwise, you will make yourself crazy. I even take social media âvacationsâ periodically to recharge my engines, gather new ideas and seek inspiration. Sure, people will miss you. But coming back with fresh content reconnects you very quickly. Thank you Himanshu, Delaney, Janet and Tim for contributing your valuable ideas and tips for the readers! So, now it is your turn…share your answers to these questions about blogging and social media. Iâm Teresa Morrow, Founder of Key Business Partners, LLC and I work with authors to help manage their online book promotion. As part of my job I read a lot of books (and I love to read anyway!). I am here to offer a weekly post about one book author I am working with and one book I have put on my reading list. 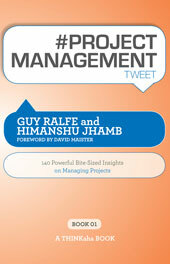 This week I will be highlighting ‘#PROJECTMANAGEMENTtweet’ by Himanshu Jhamb and Guy Ralfe. and ‘The New Community Rules: Marketing on the Social Web’ by Tamar Weinberg. The books I discuss will cover such topics as social media, marketing, blogging, business, organization, career building, networking, writing, self development and inspiration. Anthony C. Mersino, author of âEmotional Intelligence for Project Managersâ and President, The Project Advisors Group, Inc.
People are transcending cultures and geographies and are embracing diversity in their experiences and interactions with others. Most importantly, this book is a thought provoking resource for managers and those who work with a diverse group of people, be it in the workforce, community projects, team building assignments, social gatherings, or business meetings. Organizations need to know how to manage diversity to be successful in the future, and in todayâs competitive age, the flexibility and creativity augmented by diversity is crucial for success. ‘#PROJECT MANAGEMENT tweet’s’ quick-read and accessible format makes sure that you immediately ‘get’ the authors’ thought-provoking and time-tested insights and apply them directly to your own project management situations. Its tweet-sized wisdom keeps the reader’s perspective firmly in mind. In concise chapters, the authors cover what your bosses, your team members and your customers would wish you to know about project management. Among the many gems the author share is this takeaway: Every ‘unknown’ in a project can be guaranteed to introduce a ‘known’ risk. But, with ‘#PROJECT MANAGEMENT tweet’ near at hand, you can be assured of immediately minimizing your risks and multiplying your successes in project management. #6 Testing without test plans is like landing in a new city without a map. How is it going to be done? #24 Acknowledge breakdowns, as soon as they appear, to the customer; but more important, to yourself first! #52 Pay close attention to the âOpportunity Costsâ of your commitments to clients. #77 Always try to recover any delay at the start like it was the last day of the project. Guy Ralfe, has worked on global projects for over a decade. At Starr Specialty Coatings, Guy manages project delivery. He is an active contributor on ActiveGarage.com, a web portal he co-founded to address the fundamental concerns of business. Himanshu Jhamb, thrives on challenges in Software Project Management and has successfully led global teams in industries ranging from Telecommunications to eCommerce. Himanshu is Senior Project Manager for Atypon Systems and co-founder of Active Garage, where he frequently writes about Projects and Project Management. 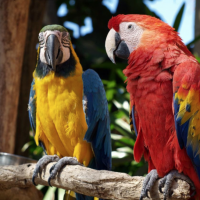 This blog post is part of a virtual book tour done by Key Business Partners, LLC and I have received a complimentary copy of ‘#PROJECT MANAGEMENT TWEET’ by the authors. Now I would like to highlight a book on my “review” reading list–The New Community Rules: Marketing on the Social Web. Written by an expert in social media and viral marketing, this book cuts through the hype and jargon to give you intelligent advice and strategies for positioning your business on the social web, with case studies that show how other companies have used this approach. Tamar Weinberg is a freelance writer and author of The New Community Rules: Marketing on the Social Web (OâReilly, July 2009) who specializes in social media consulting and strategy, blogger outreach, reputation management, and search engine marketing (SEO, link building, and Pay Per Click Marketing). She has been involved in the Internet since the early 90s and has dabbled in social online interactions for more than fifteen years. Tamar has been working nearly exclusively with Internet Marketing side since 2006, though she also has experience with web hosting and technical support and can handle complicated WordPress installations and configurations with ease. At the present time, Tamar is the community & marketing manager of Mashable and consults at social media marketing agency M80, in addition to working alongside other companies in her own role as a consultant. You can purchase a copy of ‘The New Community Rules: Marketing on the Social Web’ on Amazon. Iâm Teresa Morrow, Founder of Key Business Partners, LLC and I work with authors and writers by managing their online book promotion. As part of my job I read a lot of books (and I love to read anyway!). I am here to offer a weekly post about one book author I am working with and one book I have put on my reading list. This week I will be highlighting ‘Get Out of the Way’. and ‘Six Pixels of Separation’ by Mitch Joel. The books I discuss will cover topics such as social media (Facebook and Twitter), organization, career building, networking, writing, self development and inspiration. 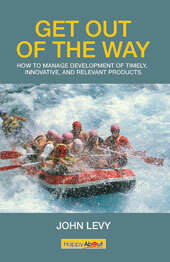 In the forward, Marks S. Williams shares, “In his book ‘Get Out of the Way!’ John Levy gives managers the tools to solve the unique problems of innovation: unpredictable customers; challenging technology; bright, opinionated people; and corporate environments that can be capricious. With all the buzzwords that attend the term “innovation,” the work fundamentally comes down to how people work together to make technology work for people. This is learnable, teachable, and trainable. But it is not easy. ‘Get Out of the Way!’ extends specific actions you can take to increase your odds of success. John Levy is a management consultant who helps product development and IT organizations get consistent, predictable, and innovative results. John has over thirty years of experience in the computer and software industry, including engineering management positions with Quantum, Apple Computer, Tandem Computers, and Digital Equipment. He earned a PhD in Computer Science from Stanford University and holds engineering degrees from Cornell and Caltech. You can purchase a copy of ‘Get Out of the Way’ online at ThinkAha Books or at Amazon. This blog post is part of a virtual book tour done by Key Business Partners and I have received a complimentary copy of ‘Get Out of the Way ‘ by the author. Now I would like to highlight a book on my “review” reading list–Six Pixels of Separation: Everyone Is Connected. Connect Your Business to Everyone.. Exploring how and why online forums such as Facebook, Twitter, and blogs have gained such popularityâand credibilityâwith consumers, this practical guide offers proven strategies for organizations to leverage these new internet-based social media outlets. The differences between traditional and new media are explored, as are simple ways business owners and marketers can use these new resources to communicate with their customers. Practical tips on gaining the attention of and interacting with influential bloggers, the pros and cons of creating a company blog, guerilla marketing on the internet, and restructuring marketing expectations are also discussed. When Google wanted to explain online marketing to the top brands in the world, they brought Mitch Joel to the Googleplex in Mountain View, California. Marketing Magazine dubbed him the “Rock Star of Digital Marketing” and in 2006 he was named one of the most influential authorities on Blog Marketing in the world. Mitch Joel is President of Twist Image – an award-winning Digital Marketing and Communications agency. He has been called a marketing and communications visionary, interactive expert and community leader. He is also a Blogger, Podcaster, passionate entrepreneur and speaker who connects with people worldwide by sharing his marketing insights on digital marketing, new media and personal branding. In 2008, Mitch was named Canada’s Most Influential Male in Social Media, one of the top 100 online marketers in the world, and was awarded the highly-prestigious Canada’s Top 40 Under 40 (recognizing individuals who have achieved a significant amount of success but have not yet reached the age of 40).